HomeLovers provides apartment owners with the opportunity of offering houses in Milan for short periods, particularly for leasing or renting relating to work transfers, or for business people who need to stay in town for a limited period of time or are just passing by. All of this will take place without having to manage the lease since this issue will be taken over by several skilled workers which everyday view and manage the flats, finding new guests. After visiting the house and agreeing on the compensation with whoever offers the most, the staff takes care of advertising the property and renting it for short periods. The owner can then freely decide when to repossess the property and, above all, will not have any contact with the tenant, since HomeLovers will also follow the practices of the lease, the supply of accessories and maintenance of the building in the event of faults or problems. This is a convenience for those who own a property in Milan but do not know when or how to manage it. Want to rent your apartment in Milan? 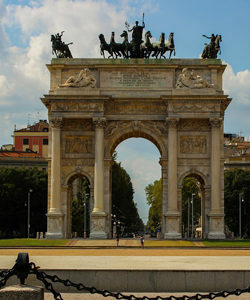 Furthermore, renting for working transfers and short periods means being sure of finding reliable guests who are looking for a flat in Milan, which could also come back often and much willingly in the future. Anyhow, payment is punctual in reference to each period of occupation of the apartment, and is completely managed by the company. Renting for businessmen can therefore prove to be a winning strategy for owners with flats which are empty or unallocated for short stays, and are looking for someone which can help with managing them. All information in this regard is available on the other pages of the website.